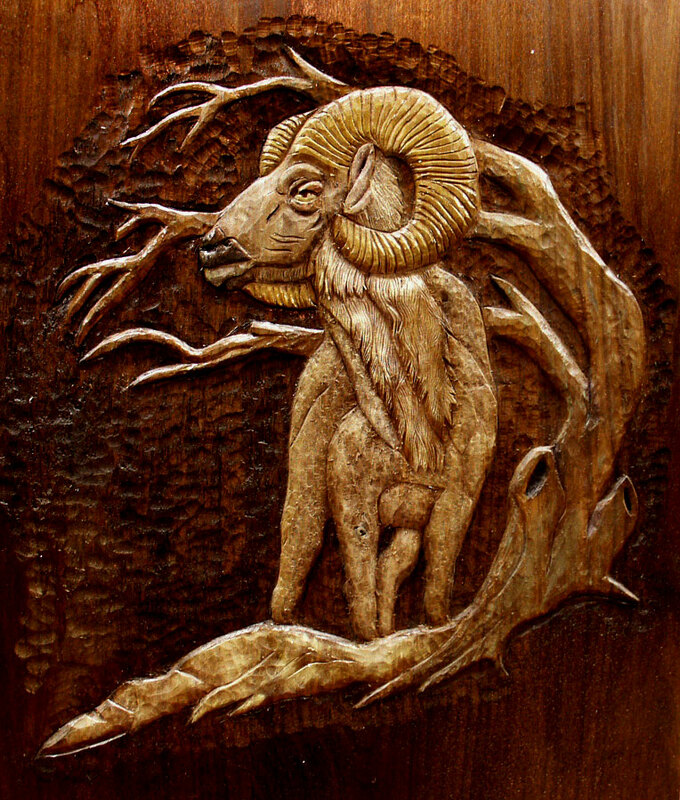 Architectural carving involves decorative features in homes or buildings including moldings, corbels, mantles, railings, facades, and other features adorned with details. 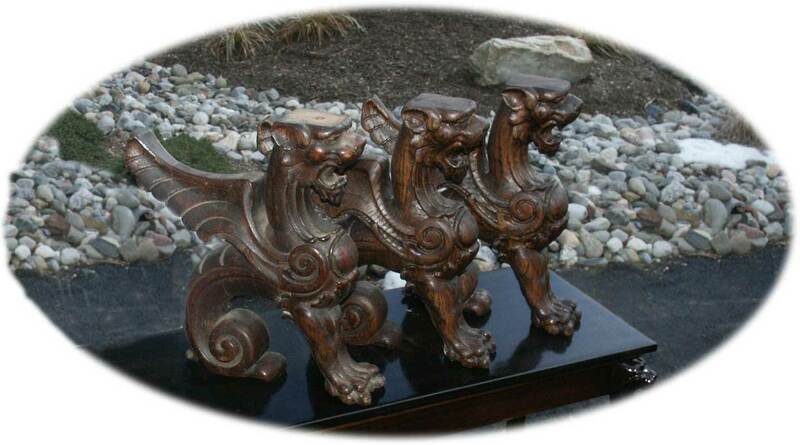 Shown below is a line of Griffins set to perch atop braces in a timber frame home. 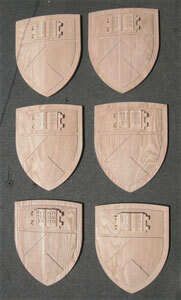 Artisans joins forces with Custom Creation's CNC capability to generate these architectural feature carvings. 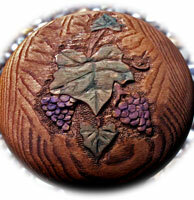 Replicated 3D or 2D carvings are a specialty of Custom Creations. 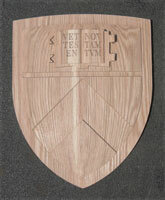 Below shows the combined talents of CNC precision programming and detailed hand touches. These shields are more complicated than they look at first glance. 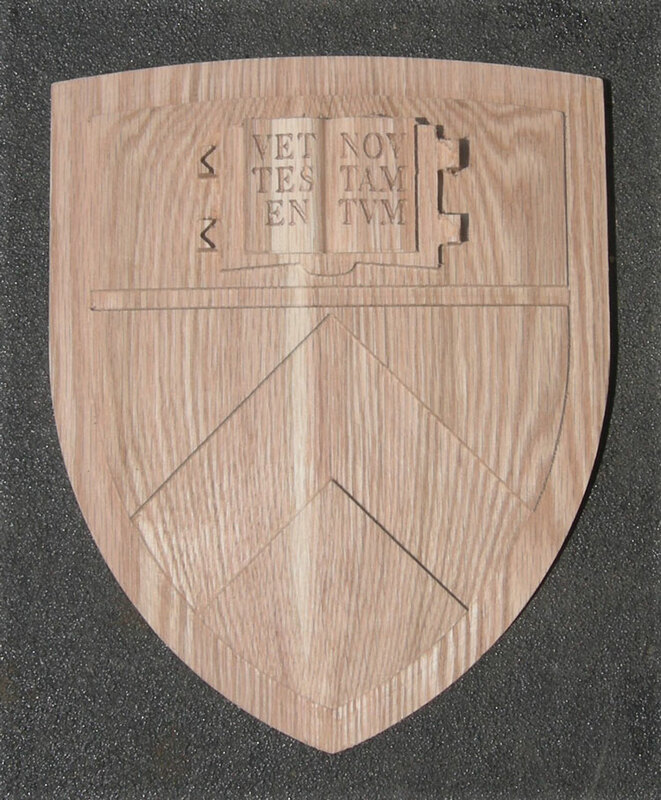 The shields are convex; they are truly curved over the entire face of the shield with a 3D lettered book. 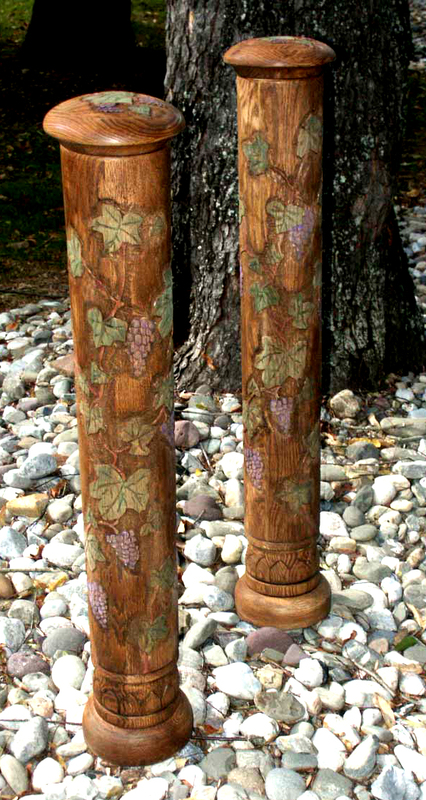 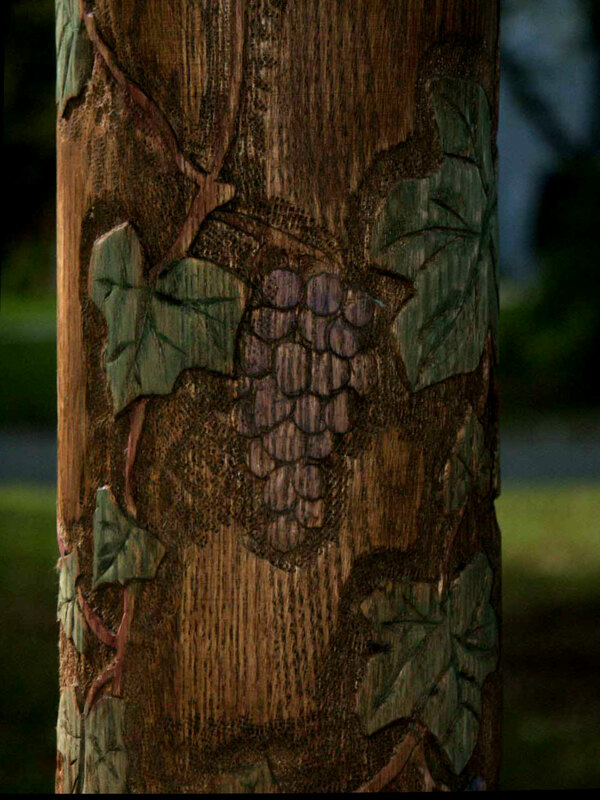 Stair posts are a traditional medium for carving, they can feature a number of designs ranging from vines, ropes, and chains, that twist around the post to ornamental caps such as pineapples, acorns, or even wildlife figures. 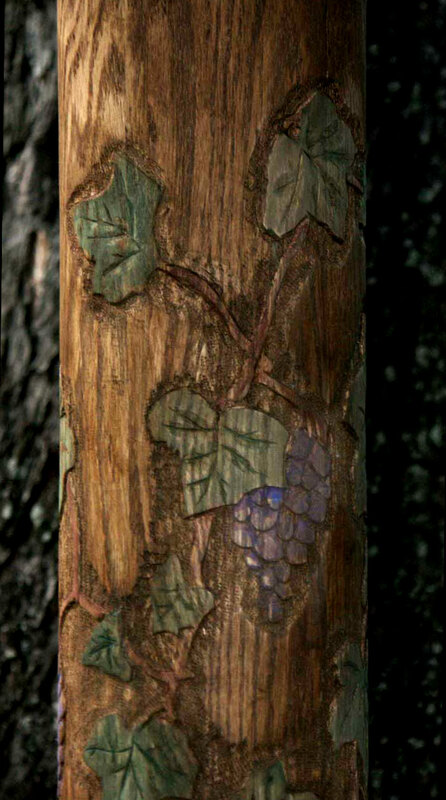 This grape vine and leaf design is a classic architectural feature. 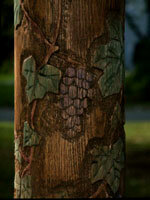 The oak posts feature a carving on the top and standing surfaces. 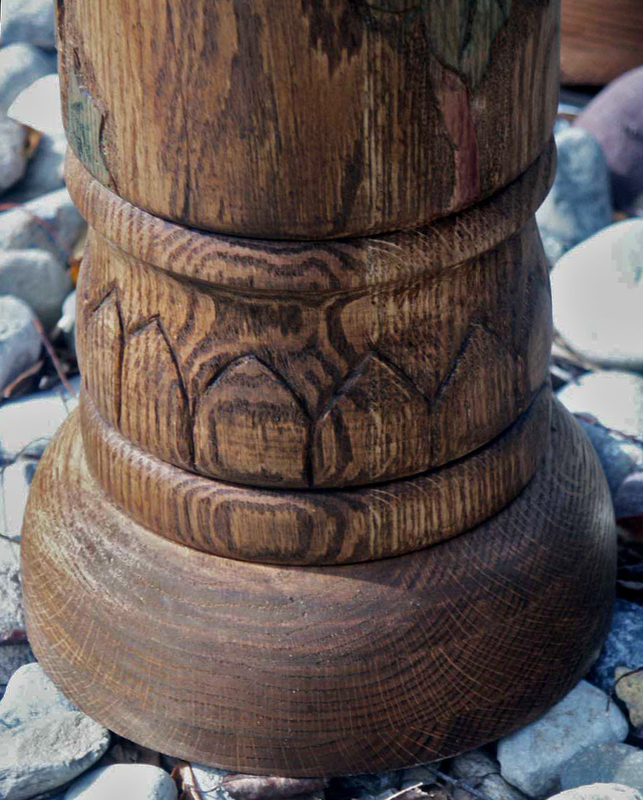 Architectural carvings are a great addition to any theme or decor, they provide that subtle or ornate attention to the little things. 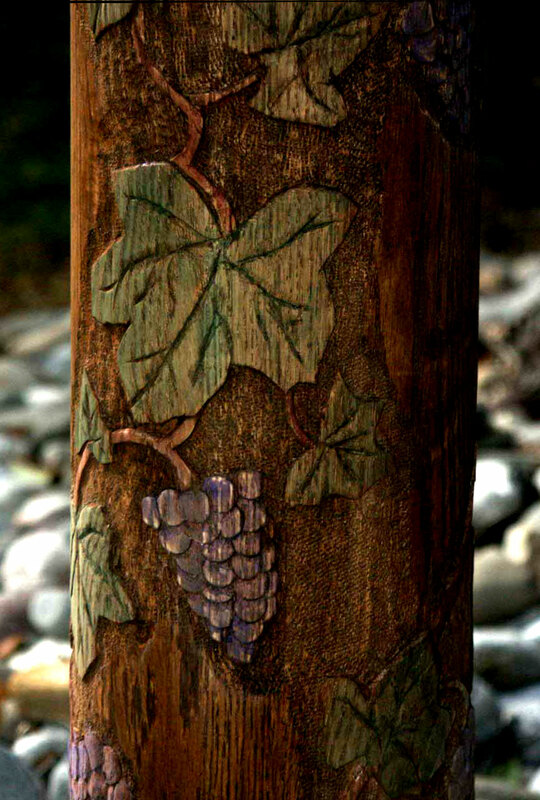 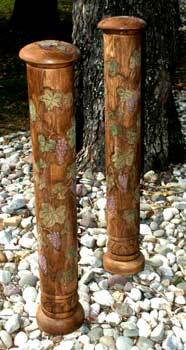 Artisans can carve your existing solid wood posts, or custom design and create unique solid wood posts. 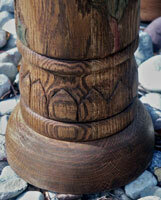 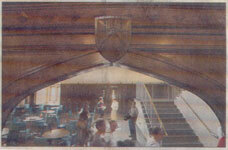 Check Architectural Carvings Page 2 for examples of custom made gothic stair posts. 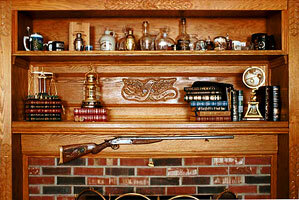 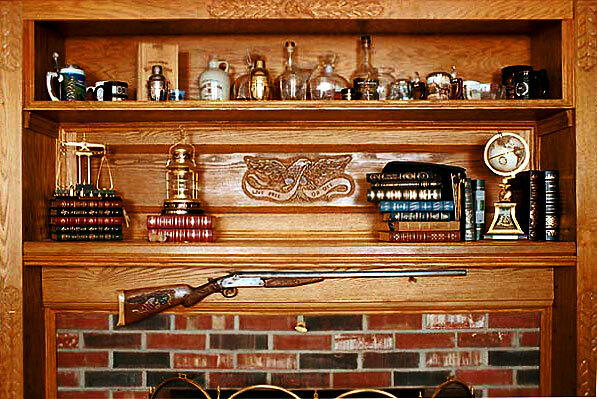 Mantles & moldings - show off your built in features with carving accents. 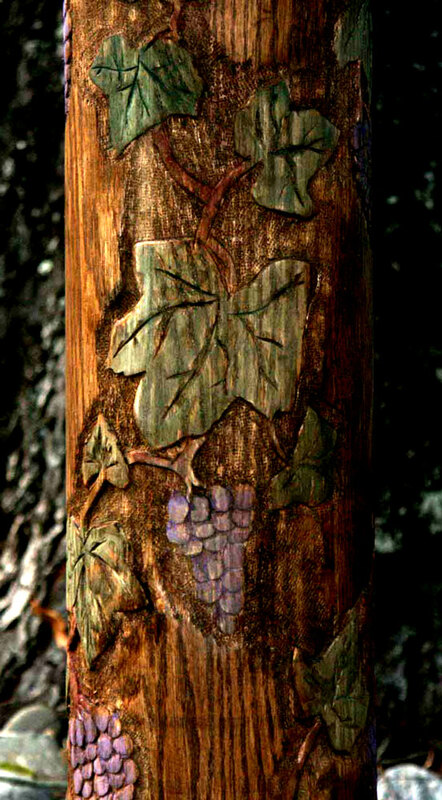 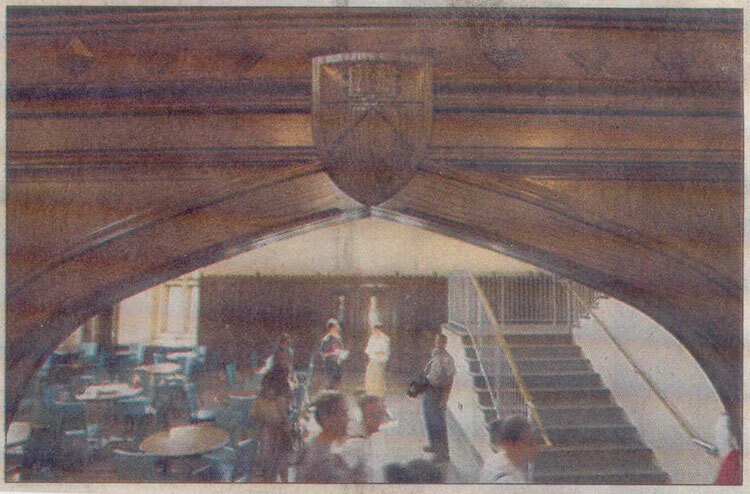 Leaf work, rope carving, crests, logos, initials, wildlife, and thousands of other features.